This group loves to count. They count rocks on the play ground, the largest arm-load of walnuts and the number of days left until Halloween. 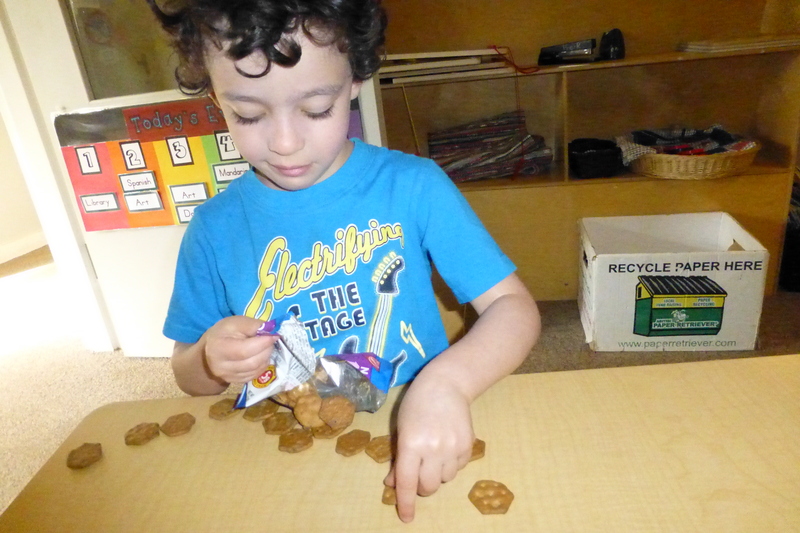 Without any prompting from us, snack-time has become the most common opportunity to practice one-to-one correspondence. 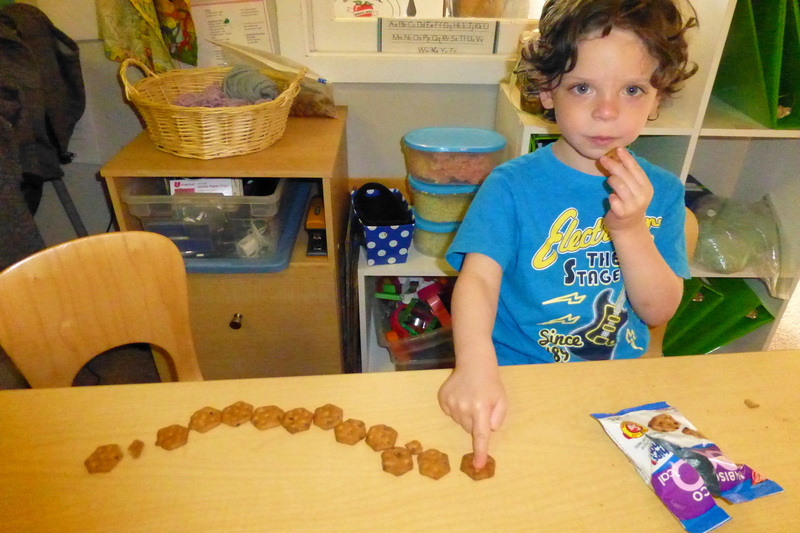 The counting strategies range from lining items up, counting-as-you-eat, removing one item from a bag at a time and pile counting. 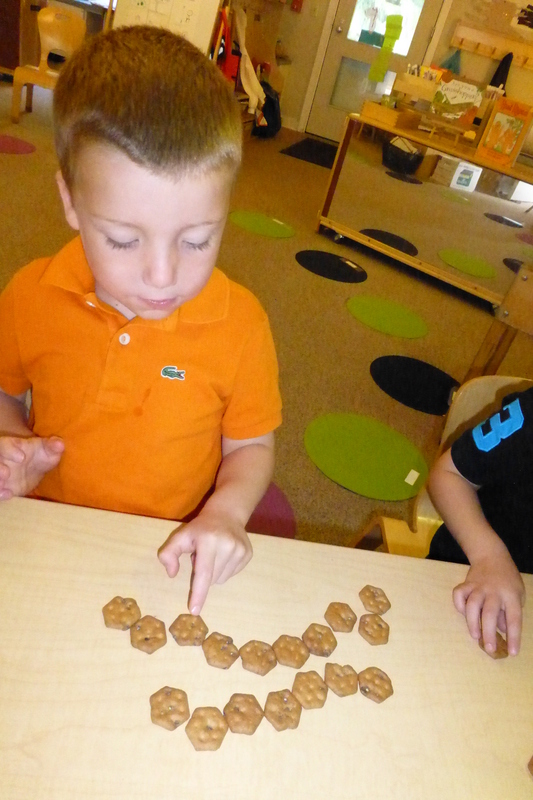 Pile counting doesn’t usually end up the true total number of items, but making this mistake is part of the learning process. They may hear if I tell them, they will know if they discover it.